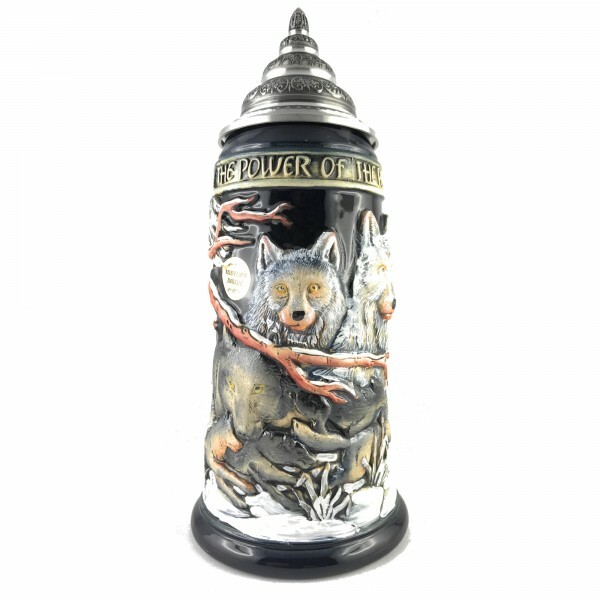 Product information "Wolf power of the Pack stein in black"
The Wolf stein "the power of the pack" shows you a wolf pack as well as two nice bigger wolf faces. On the top and the buttom of the stein you also find wolf paws. Very nicely desigend beer stein! Related links to "Wolf power of the Pack stein in black"
Customer evaluation for "Wolf power of the Pack stein in black"